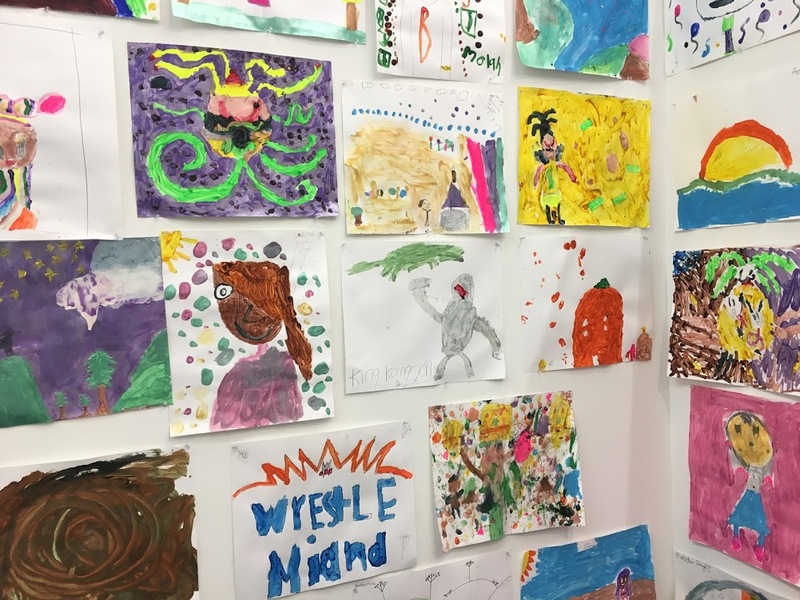 Installation view of children’s work in “Brian Belott: Dr. Kid President Jr.” at Gavin Brown’s Enterprise location in Harlem. Because there are so many places to see art in New York, and so many people committed to making and showing art here, I have often thought to myself that there is really no such thing as a bad year for art in the city, only good years and great years. And 2017 was, in my humble opinion, a great one. There were superb, long-overdue museum shows, venturesome gallery exhibitions, and flashes of brilliance all over town. I am tempted to classify it as exceptional—a uniquely great year—but things are too unsettled and disturbed for that. Even as a wan supposed Leonardo can sell for $450.3 million, and blue-chip dealers bank big bucks at the Basels, galleries on the market’s low end are struggling, and too many—at every level and in every neighborhood—are sticking to tried-and-true formulas. A definite stagnation has taken hold. As absurd as this may sound in a city with hundreds of galleries, we need more of them, and next year I will be watching closely, hoping that folks step up. Installation view of Mindy Rose Schwartz’s solo show at Queer Thoughts. As it is, some of the most intriguing—and most unabashedly fun—shows I saw all year were in New York’s tiniest, lowest-overhead galleries, like Gern en Regalia and the Middler, which are located, respectively, in a studio and an apartment in Ridgewood, Queens; 321 Gallery, in a brownstone in Brooklyn’s Clinton Hill; ZAK’S, in a Brooklyn Navy Yard studio; and Queer Thoughts, on the third floor of a commercial building in Tribeca. They are outfits that are scrappy in every sense of the word: determined, unpredictable, vision-struck. On that note, one of the highlights of the year was the Museum of Modern Art’s smart decision in early February to hang works from its permanent collection by artists from countries whose people were affected by the Trump administration’s Muslim ban, a small gesture that still felt like a bright beacon of light in very dark times. Setting aside the current political crisis, it was also just a joy to see work by Charles Hossein Zenderoudi, Ibrahim El-Salahi, and others prominently on view. If this is the start of a more inclusive, and nimble, approach by MoMA to displaying its permanent collection, that would be very welcome news. Henri Matisse’s Tiari (1930), and Periwinkles / Moroccan Garden (1912), and Charles Hossein Zenderoudi’s K+L+32+H+4. Mon père et moi (My Father and I), 1962, at MoMA. Speaking of MoMA, as it continues work on its latest grand expansion, which has a price tag of $400 million, one can’t help but imagine other uses for that money. Early in the year, I made my first trip to the Underground Museum in Los Angeles, founded by the late Noah Davis in a nondescript one-floor space in the neighborhood of Arlington Heights and now supported by the city’s Museum of Contemporary Art, and saw “Non-Fiction,” a superb show with work by Robert Gober, David Hammons, Deana Lawson, Kerry James Marshall, and more. For a fraction of the cost of a building renovation, heavyweights in New York could open satellites in the huge swaths of the city that still lack art spaces—and collaborate with local artists to make them vital and relevant. There have been some heartening instances, though, of artists and dealers breaking a bit with the white-wall format. David McDermott and Peter McGough installed a poignant memorial to Oscar Wilde at the Church of the Village on West 13th Street that needs to be permanently displayed somewhere, and as part of Brian Belott’s madcap show of historical children’s art, Gavin Brown’s Enterprise held regular art classes at its uptown location with students in the area. Seeing every inch of one of the gallery’s spaces bedecked with the resulting work was one of the thrills of the year. My top ten favorites out of everything I saw around the world follows below, but there were so many strong shows in New York City alone that I have to start with a long list from home. First, on the more historical end of the spectrum, were much-needed and very welcome exhibitions of Ashley Bickerton at the Flag Art Foundation, Nicola L. at SculptureCenter, Lewis Stein (jaw-dropping work, completely new to me) at Essex Street, Joan Brown at George Adams, William Hawkins at Ricco/Maresca, Dominick Di Meo at JTT, David Hammons’s improbable Leonardo/Charles White tête-à-tête at MoMA, Florine Stettheimer at the Jewish Museum, Ad Reinhardt at David Zwirner (with the black and blue masterpieces down, we now wait impatiently for the reds, perhaps), and Marcia Marcus at Eric Firestone Loft, plus “Inventing Downtown,” a compendium of artist-run galleries in New York from 1952 to 1965 at the Grey Art Gallery that should be reprised like a deluxe Bob Dylan bootleg rele—ten times bigger, with all the most obscure, deepest cuts included. And the highlights from shows of more-contemporary work: Abigail DeVille’s bewitching performance at the Whitney, a museum-worthy Barbara Chase-Riboud survey at Michael Rosenfeld (which had classic early pieces as well as new offerings), Aaron Flint Jamison‘s storage-room unveiling at Miguel Abreu, Serkan Özkaya’s ingenious investigation of Duchamp’s Étant donnés (1946–66) at Postmasters, Darren Bader’s most insane show yet, at Algus Greenspon, Chris Ofili’s discomfiting cage at Zwirner, slices of Anicka Yi’s ever-evolving practice at the Guggenheim, Nayland Blake’s mordant drawings at Matthew Marks, Robert Grosvenor’s détourned cars at Karma, which became weirder the longer you looked, and recent work by the great Ed Clark, in top form at Tilton. Installation view of “Never Built New York” on the Panorama of the City of New York at the Queens Museum. And now, a list of favorites from the around the world . . .
10. “Never Built New York” at the Queens Museum, New York This is a treasure trove of curiosities, with dozens of models and sketches for buildings, bridges, parks, and other structures that were proposed but never built in the Big Apple, from an 80-story hourglass-shaped tower that I. M. Pei envisioned as a replacement of Grand Central to various postmodern additions that Michael Graves wanted to add to Marcel Breuer’s Whitney Museum. 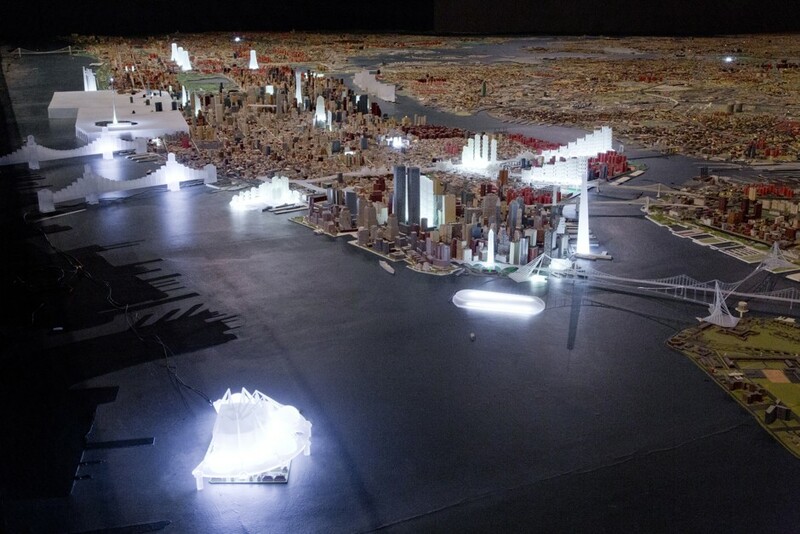 The presentation is elegant and whip-smart, with materials filling one room and glowing maquettes added to the museum’s panorama of New York, rendering one of the most sublime, fantastical places in the city all the more wonderful. A still from Alex Israel’s SPF-18. 9. TV’s Riverdale, Dynasty, Siesta Keys, and Floribama Shore—and Alex Israel’s SPF-18 I would not necessarily recommend watching every single episode of Riverdale and Dynasty on the CW or Floribama Shore and Siesta Keys on MTV—these can be deadly substances—but I will say that they offer definitive depictions of a decadent country and a culture in the midst of utter chaos. Riverdale sets the Archie Comics universe in a dark, murder-stained present, while Dynasty, the less charming but more knowing of the two, reboots its namesake in the faux-gilded right now. The MTV reality shows, for their part, make their spiritual precedents, Laguna Beach and Real World, look chaste in comparison. Amidst all of today’s mayhem, Alex Israel’s first feature film, an airy trifle of teen love and surfing titled SPF-18, is a paragon of good-hearted frivolity—a radical stance in this climate. A masterpiece it is not, but it is a start. Could he be our Schnabel? 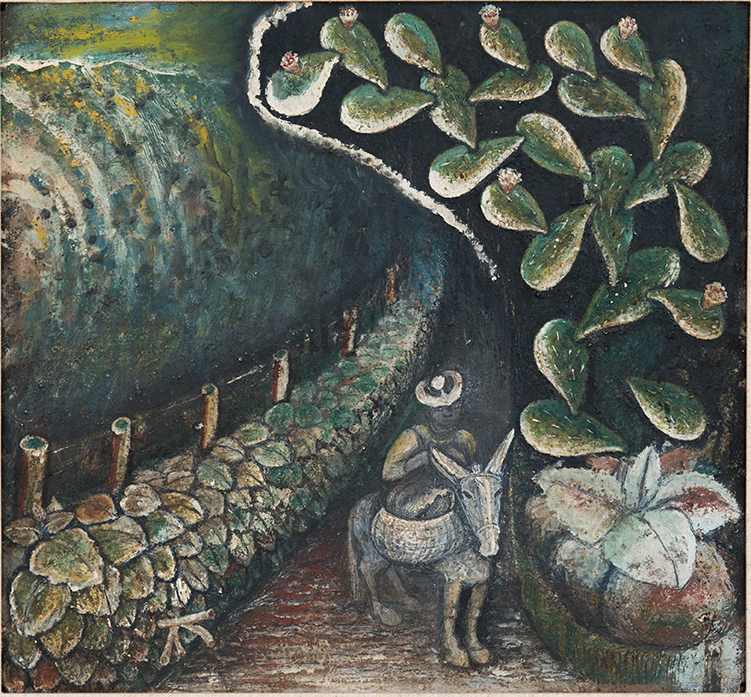 John Dunkley, Going to Market, no date. 8. “John Dunkley: Neither Day nor Night” at the Pérez Art Museum Miami Only about three weeks remain to see this mind-blowing full-dress retrospective of the self-taught Jamaican artist, which is the first ever in the United States and the first in 40 years anywhere. Find a way to Miami! Dunkley, who lived 1891 to 1947, painted his homeland in tender detail—minute shifts of browns, greens, reds, and yellows brush up against one another—and with a freewheeling panache that cruises easily into the surreal, with roads curving and flowers growing in impossible directions. He was politically engaged, too: in one stunner, FDR snarls at land that the United States requisitioned from its local residents during World War II in order to build a military base. These are small, potent works, venturing along little-used pathways through 20th- and 21st-century art history in which figures as diffuse as Martín Ramírez and Andreas Schulze can also be found. Few reside in public collections outside Jamaica—it would be nice if some of his collectors would help change that. 6. “We Wanted a Revolution: Black Radical Women, 1965–85” at the Brooklyn Museum, New York Bringing together work by more than 40 artists, this was a clarion call for museums to reconfigure their permanent collection hangs to include the featured artists—and to begin work on many a retrospective. If you missed the show in Brooklyn, there are still a couple weeks to catch it at the California African American Museum in Los Angeles, and its rich catalogue stands as a vital piece of scholarship. 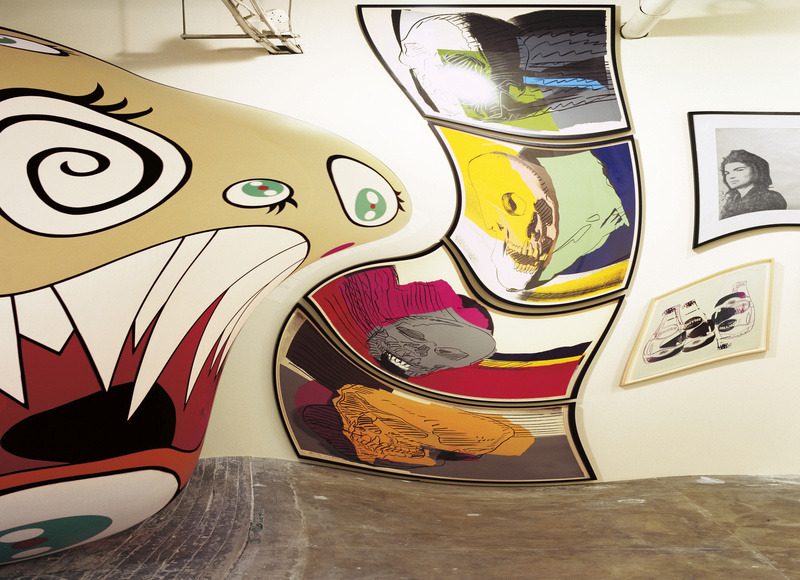 Installation view of Ragen Moss’s solo show at Ramiken Crucible. 5. Ragen Moss at Ramiken Crucible, New York Housed in Ramiken’s basement dungeon space, which has sadly gone quiet of late, this show—organized by the great photographer Lucas Blalock—had eleven bulbous translucent polyethylene forms hanging on two metal rods in the gallery, like hunks of meat in an abattoir or clothing in a department store. Some resembled torsos, others faces, but they always seemed to change form as you gaze at them. They were hilarious and creepy and utterly indefinable, and in very roundabout ways (they’re not really paintings, nor sculptures) threw out to viewers tricky, intertwined questions about vision and bodies and how we comprehend either of those things. To put it more simply: this show marked the birth of something new. Installation view of “NKAME: Belkis Ayón” at El Museo del Barrio. 4. “NKAME: Belkis Ayón” at the Fowler Museum at UCLA and El Museo de Barrio Once you get a look at the large-scale pieces that Belkis Ayón made by assembling together printed panels, you never forget. They are typically black, white, and every shade of gray (though she dipped briefly and stunningly into color), and they present, with preternaturally sinuous, confident lines, figures with faces that have only eyes—piercing, searching eyes—that are performing unidentifiable rituals, embracing each other, and, yes, staring out at us, inspired by the Afro-Cuban all-male secret society known as the Abakuá. 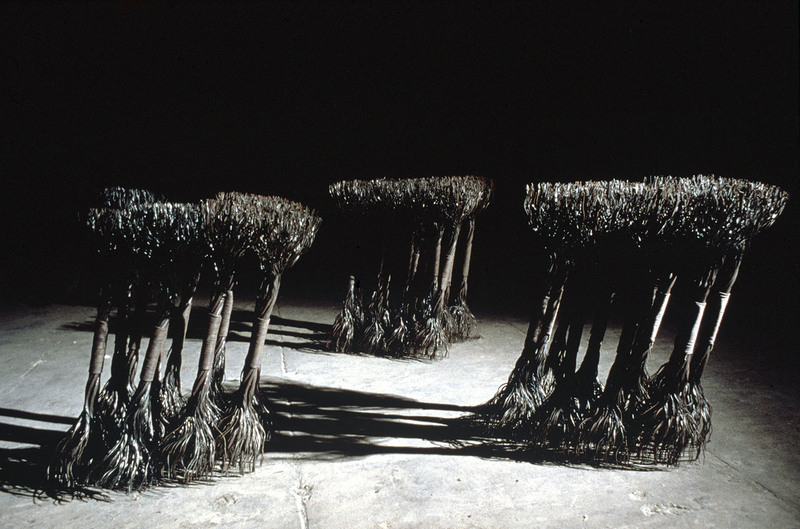 The world lost the Cuban artist in 1999, at the age of 32, and this retrospective made clear that if she were still alive, she would be one of the premier figures operating today. 3. “Louise Lawler: WHY PICTURES NOW” at MoMA Louise Lawler is an incisive, gimlet-eyed observer of how art functions and how it is put to use on its way from show room to storage to gallery walls, as this taut retrospective handily demonstrated. But the show also foregrounded the wry, biting humor that underpins so much of her work (a “yes, and . . .” technique achieved through a quick crop or a warp effect on Photoshop that sends, say, a Murakami monster leaping toward a Warhol skull), as well as its pathos (her image of an On Kawara looming over a dining room table of stubbed-out cigarettes and wine is a memento mori for the ages). As images flow through wires and across screens, morphing along the way, Lawler’s canny practice of reusing her photos—in murals, tracings, paperweights, and more—is looking all the more cannily prescient for its ability to tease to out how these myriad metamorphoses shift meaning. Performance still of “Anne Imhof: Faust” at the German Pavilion at the Venice Biennale. 2. 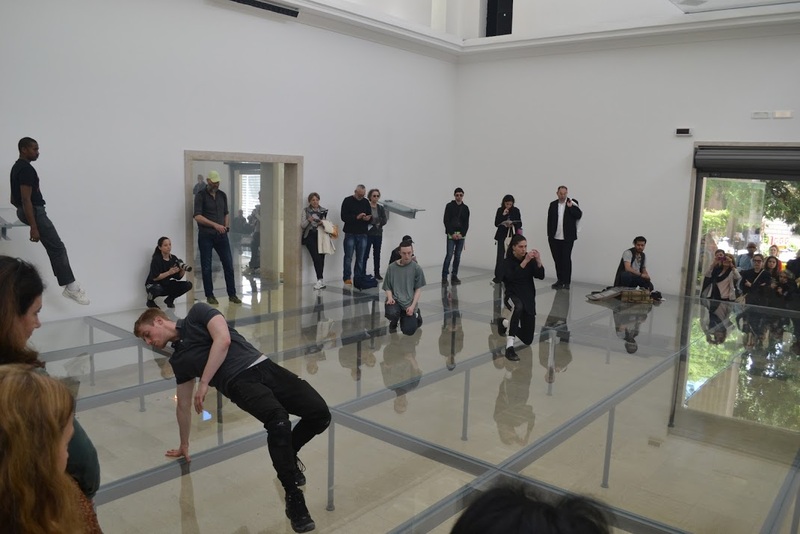 “Anne Imhof: Faust” at the German Pavilion at the Venice Biennale The German phenom positioned performance and architecture as mediums for sleek, corporate violence, at once alluring and traumatic. On and under a glass and metal platform in the German Pavilion, dancers stepped on and carried each other. They lit various small fires as people gawked. Sometimes there was music—looping drones as well as singing. Dobermans barked outside the building, behind fences. It was painfully, sumptuously empty, and while very real danger was often visible, it was everywhere blocked off, safely forestalled—as perfect a parallel as I can imagine for many people at the contemporary moment. Where does she go from here? 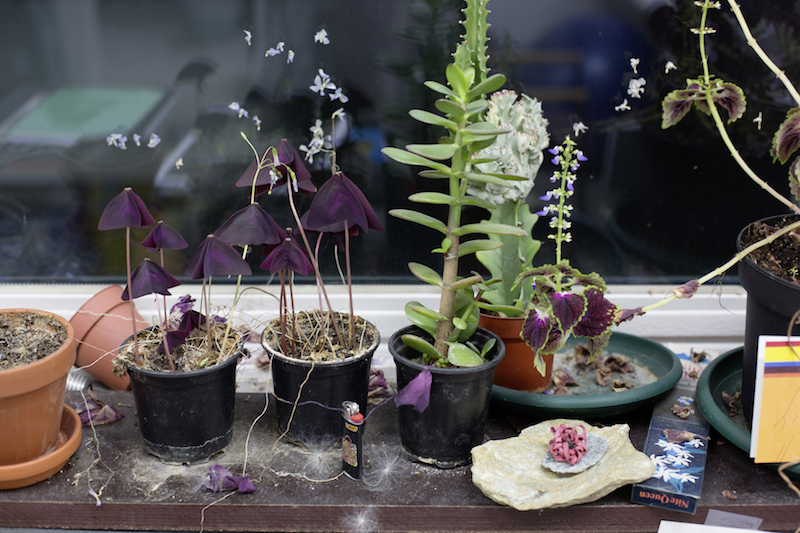 Installation view of Pierre Huyghe’s After ALife Ahead at Skulptur Projekte Münster. 1. Skulptur Projekte Münster While this year’s editions of the storied international exhibitions on the Grand Tour were half-baked and conservative (“Viva Arte Viva” at the Venice Biennale) or exhaustingly overdone (Documenta 14), Skulptur Projekte Münster hit the sweet spot with a tight list of about three dozen who produced remarkable, ambitious work. 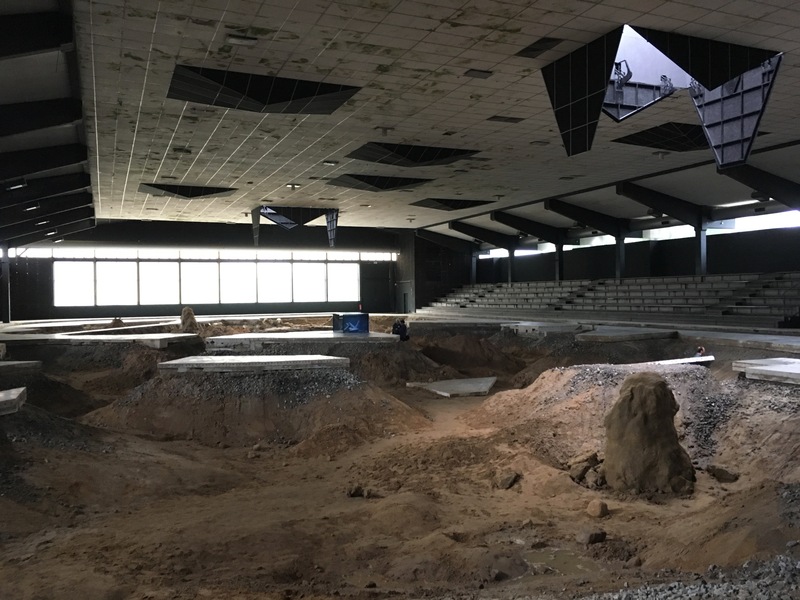 Pierre Huyghe’s alien environment in a skating rink will rightly go down in history as one of the great mad experiments of the decade (and as an allegory of some sort for unseen systems spiraling out of control, of simultaneous growth and decay). 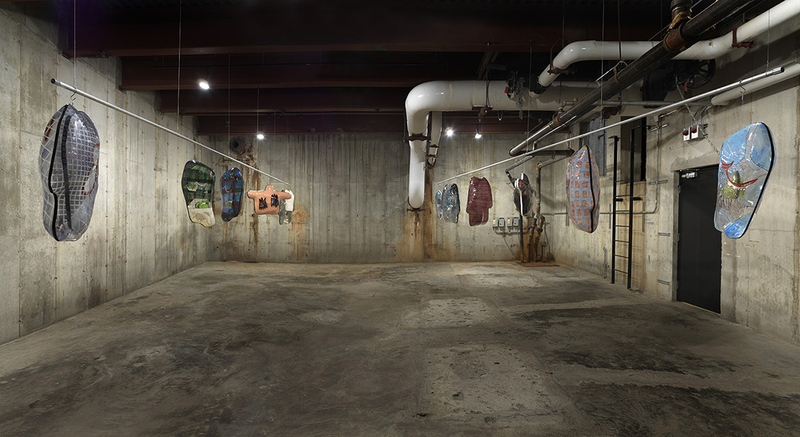 But the relatively subtler projects were just as effective, like Mika Rottenberg’s latest labyrinthine tour de force, Nicole Eisenman’s insouciant, invigorating fountain, Gerard Byrne’s lonely, brilliant video, and Michael Smith’s public-spirited tattoo parlor for the elderly. It was the exceedingly rare exhibition that felt dramatically larger than the sum of its parts. And then there were Ei Arakawa’s delightful singing paintings in a field on the outskirts of town. One of them was stolen in the dead of night, and while I could never condone such a theft, I understand the motivation.